Inventory We are a resale marketplace, not a box office or venue. Ticket prices may exceed face value. This site is not owned by Des Moines Civic Center . The Des Moines Civic Center is currently one of the premier venues in Iowa to see traveling Broadway Shows, and intimate concerts. 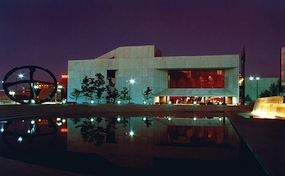 The Des Moines Civic Center box office opened on June 10, 1979. The Des Moines Civic Center offers great seats to all patrons. Any Des Moines Civic Center tickets will be within 145 feet from the stage, with all seats being on one level. The Des Moines Civic Center is noted for its great acoustics and being located in the heart of the city. DesMoinesCenter.com is a privately owned and operated company that operates in the secondary ticket market. We are not affiliated with any primary box office or seller. DesMoinesCenter.com is the premier supplier online for all Des Moines Civic Center events. To purchase tickets at anytime simply click on the event you wish to attend or call our operators at anytime to walk you through the process.